You turn up with a couple of friends and ask for a table. The reply is – sorry we don’t have any tables for another two hours. Wait, what I though there was a no reservations policy? Yes there is but you come and leave your name and number and then we text you when your table is ready. Otherwise known as these hipper than hip restaurants don’t want to have to pay someone to manage a diary, they want guaranteed bums on chairs so make you rock up and leave your name and then they call you. The flaw in the plan – it’s cute at the beginning but the no reservations but we do really policy gets old fast. I still have yet to eat at Hoppers because every time I turn up at 6.30pm on a Friday night – solo or with friends I’m told there are no spaces left. 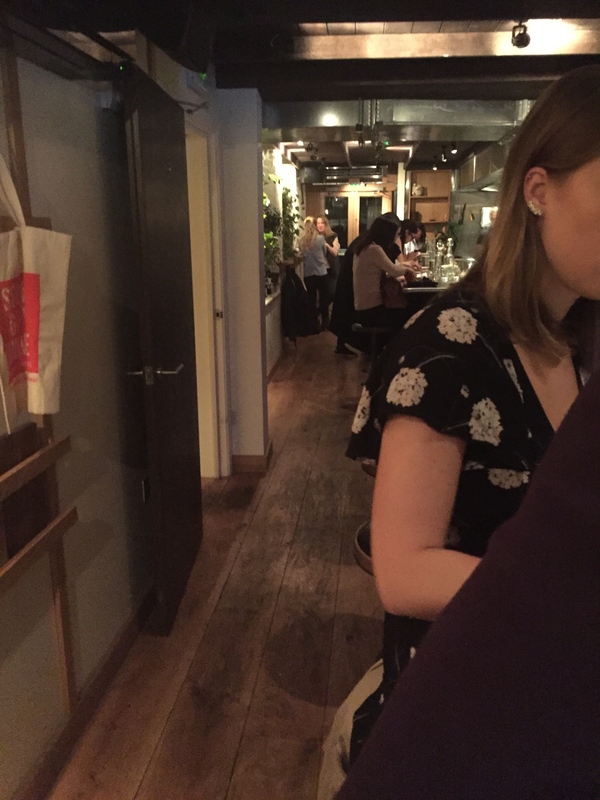 The restaurant opens at 6pm so either the whole of London runs to put their name down on the list or the door person doesn’t know how to work the iPad their holding. The problem with all of that is, maybe I’m getting old, but I just want to eat when I want to eat and I like having a reservation beforehand. All this spontaneous booking rubbish means if you forget to put your name down or have a friend who just doesn’t queue forget the hip place. 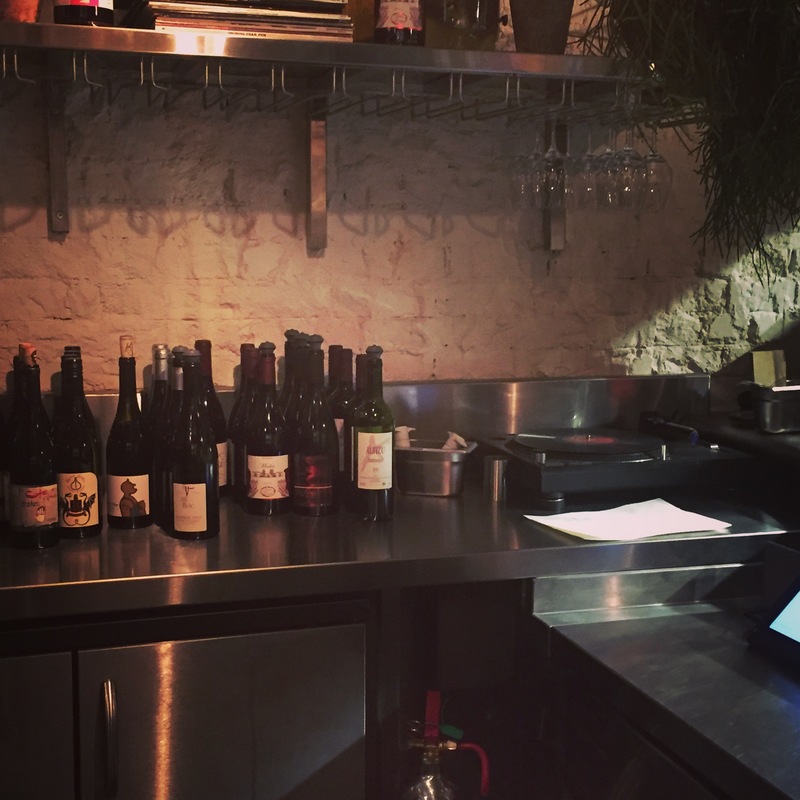 Although 4 is the magic number so if there are 4 or more of you – these types of restaurants will let you book the old fashioned way. So you know what you need to do – make some friends. However, as a solo diner sometimes just sometimes you get lucky and skip the 3 hour wait – YES 3 HOURS – and sit down straight away at 7.30pm on a Saturday night just before catching a film at the Curzon Soho as part of the London Film Festival at the hottest table in town – Kiln Soho! 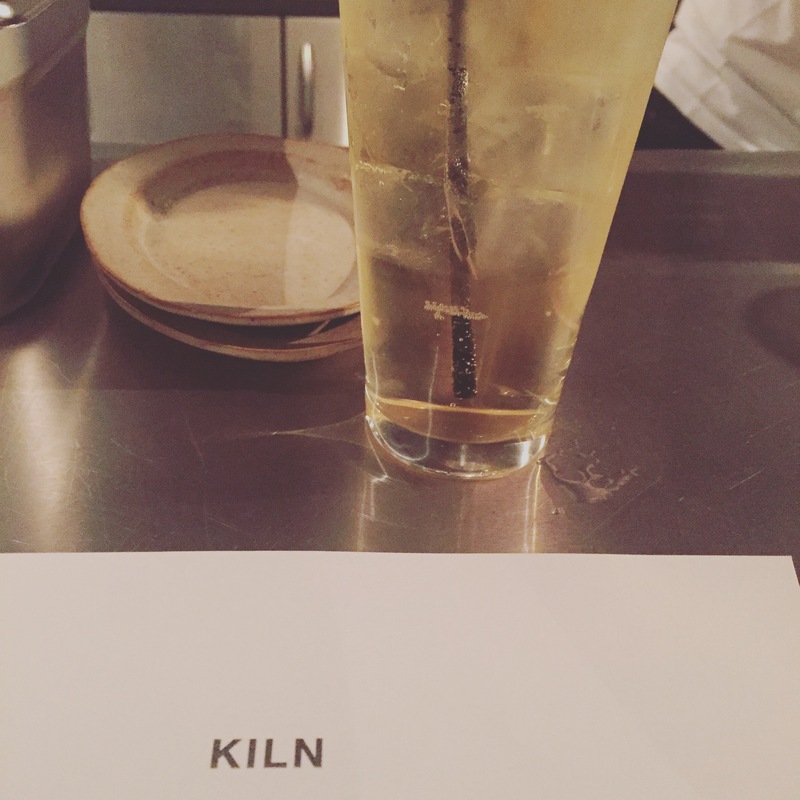 Kiln Soho is located in Soho. It is a squeeze and hot in there too. This is the sister restaurant of Smoking Goat which I love and also does the no reservations but do policy. The top floor is long and narrow with the bar and high stools taking up most of the space and the open kitchen/grill behind. Downstairs are the tables and toilets neither of which I saw during my whistle stop, eat and run, 45 minute visit. On Saturday night, the atmosphere was electric and the noise levels are just bearable. All that exposed industrial look doesn’t provide for much noise buffering but the music wasn’t too loud and I was able to eavesdrop on other people’s conversations although some nationalities are louder than others. I rolled up to Kiln and saw a couple of people standing outside. I ignored them and open the door and greeted by the maitre d and said do you have any tables. There was one stool at the bar. One. She said could you wait a minute and went to consult with a colleague. Frankly, if you have all this staff why not run a proper booking system. I was steeling myself for a battle – I needed food before the film screening and I wanted to eat here. She smiled and said please – and before she could place the one sheet of doubled sided A4 menu before me my bum was already on the stool. Couple upon couple came in and asked for a table and were each told it was a 3 hour wait! Quite. 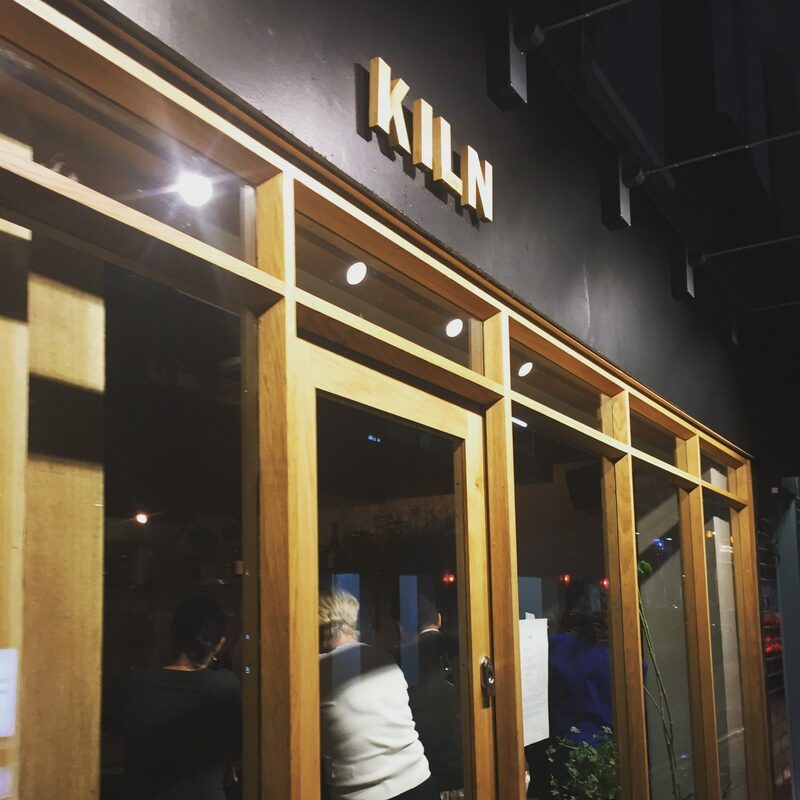 Kiln specialises in Thai barbecue. When a friend suggested Smoking Goat the sister restaurant that also does the same type of cuisine I travelled back in time to the late 1990s and the Mongolian bbq craze in London where you would be served raw meat and a hot stone and it was all the rage to cook your own meal. The problem being there was always someone in the group who could “cook” and the results were charred, inedible vegetables and meat and drinking more alcohol because you were so hungry with a huge bill at the end of it. However, times have moved on and here the food is cooked for you. Praise Be! There’s not much on the menu. Which is good for someone like me who suffers from food envy and indecision. Having said that there are some things I just don’t like to eat and that is roast pork. I’m odd I like the by-products bacon, ham etc but hate roast pork. What’s the signature meat at kiln? Pork. However, there are a few fish curries and skewers. 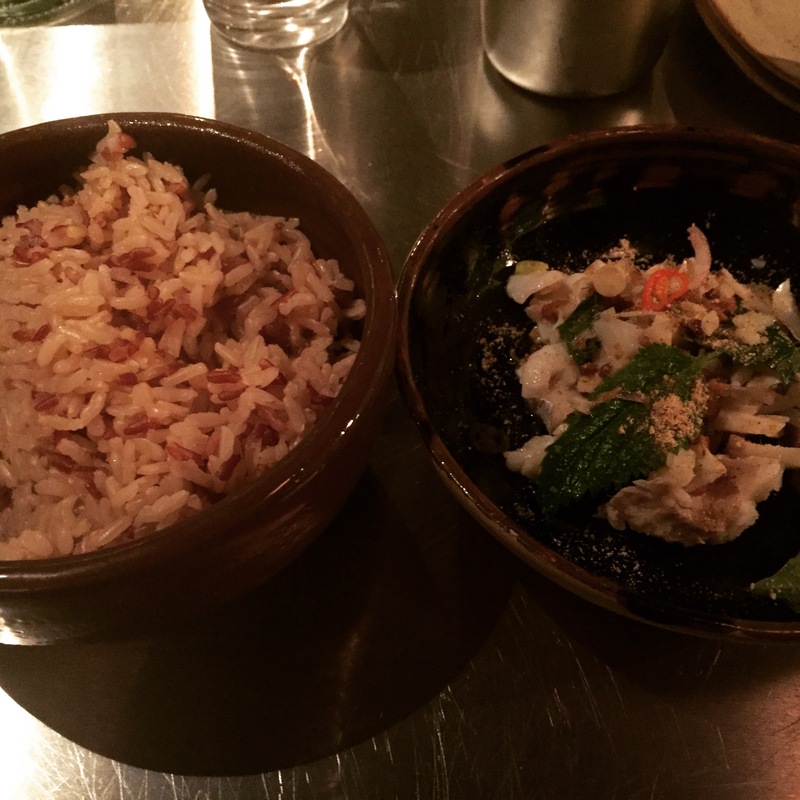 There are two starters if you can call them that – small plate is the term I believe. A lamb skewer or some chicken thing. I saw both of them and glad I didn’t order either. I would have felt cheated. I ordered a whisky soda at a very reasonable £5 – it had a little kick and was told that they recommend you order a main dish and side dish. I plumped for the fish with lime leaves, chillies etc. The waiter said it was spicy and he wasn’t wrong. The food arrives when it arrives. It was delicious and the brown jasmine rice made me feel virtuous to a point. I felt pretty full although had I not been rushing to the cinema I may have ordered a different main – possibly a curry. Baby In the corner? No but solo diners can only sit at the bar, tables are at a premium! Anyway the bar is where it’s at. The staff are super friendly and I had a great chat with the guy behind the bar. 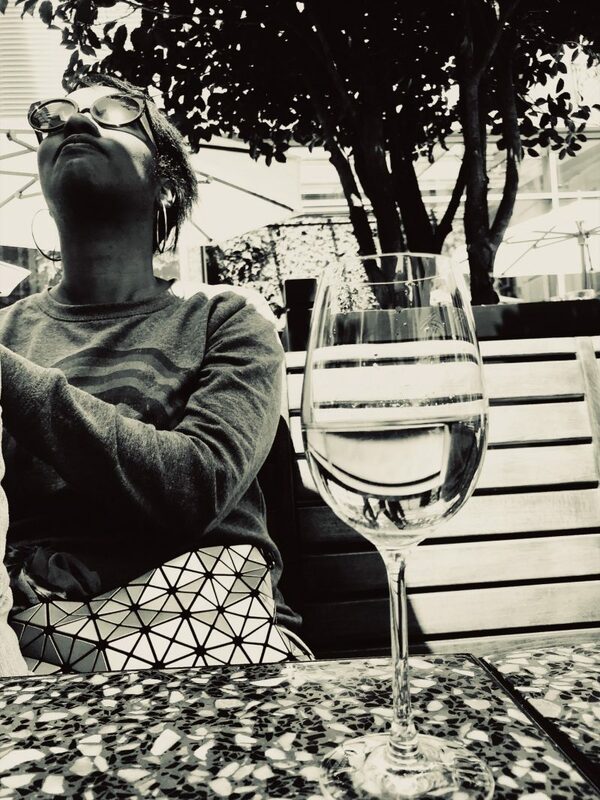 You’re sitting so close to other diners that you can definitely chat to others if you want company. Pricey? Depends how much you, don’t be fooled small dishes add up fast but for my whisky & soda, dish, side dish AND service charge (sort of cheeky given I was sitting at the bar) came to £16.43 so you can still go out afterwards.